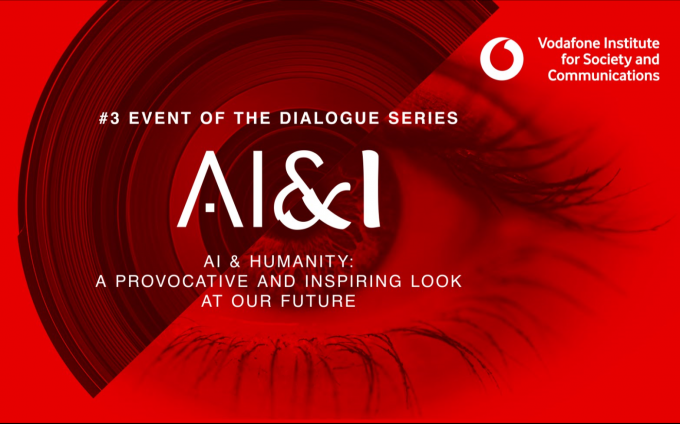 The dialogue series ‘AI&I’ in the Vodafone Institute in Berlin is dedicated to discussing chances and risks of artificial intelligence. 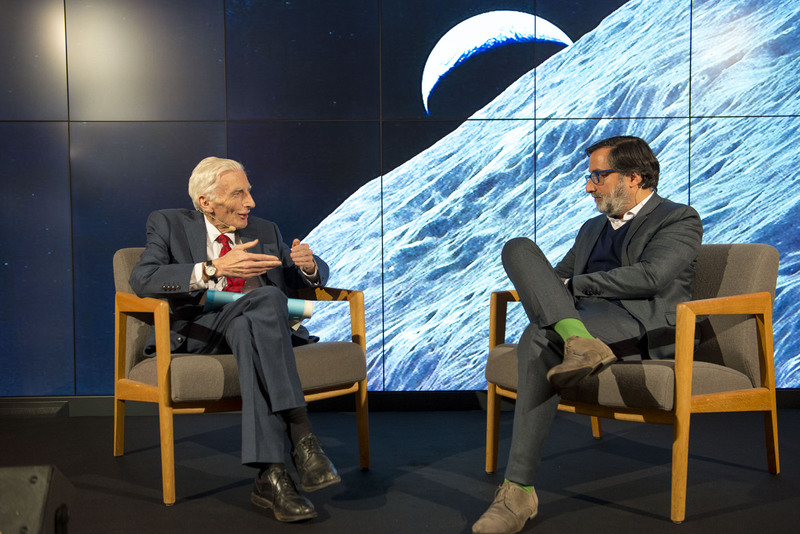 On 22 November guest of honour, Professor Lord Martin Rees, Astronomer Royal and former president of the Royal Society, spoke on the prospects of humanity. He advocated the responsible use of AI in favour of the future of humanity. 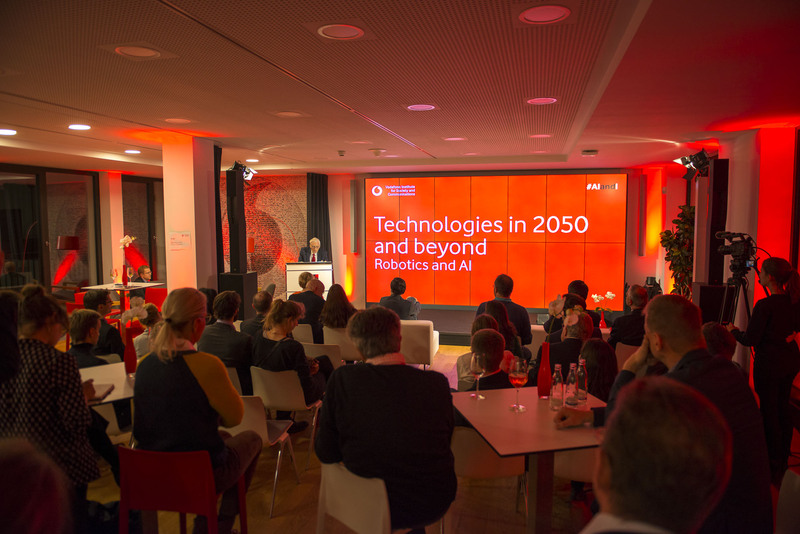 Humanity is at a cross-road where the potential of new technologies shall be used but their risks minimised. Lord Rees sees the answer to biotechnology, robotics and AI in a new attitude: we have to swallow our gut-feeling and develop rational, global and goal-oriented solutions for the future. Climate change, diversified political and social systems, and the digitisation of many aspects of life are relatively new experiences for humans. Many perceive AI as a downside of technological advance. 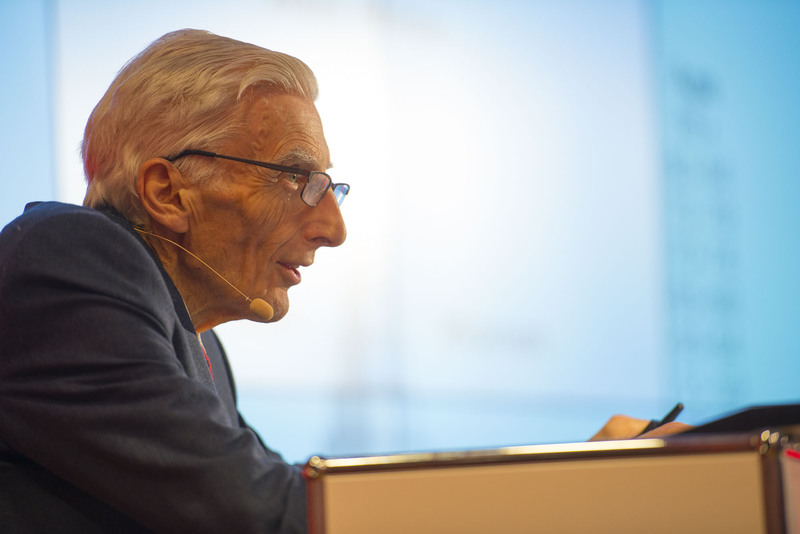 But Lord Rees considers it a vital pre-requirement for humanity’s survival. Only if we use the opportunities offered by technology and minimise its risks, can we use it to our advantage. 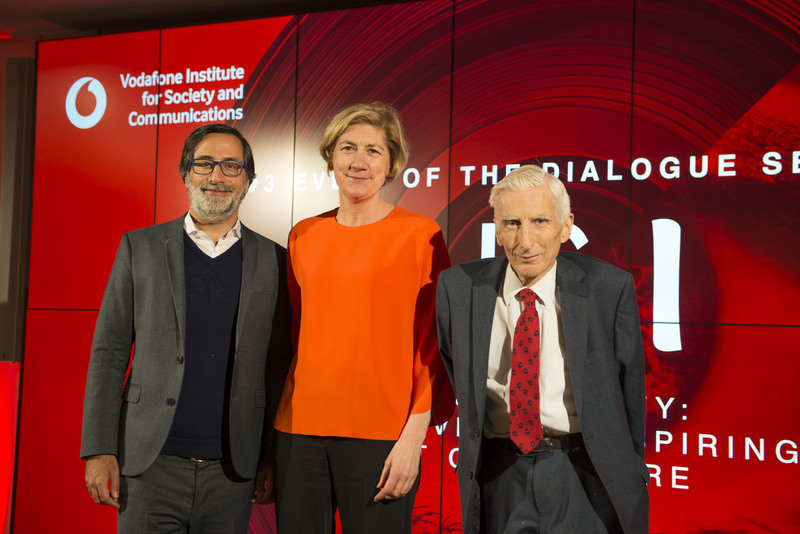 On this topic Lord Rees gave a lecture as part of the third event of the ‘AI&I’ dialogue series. Following his book ‘On the Future: Prospects for Humanity’, he explained that new technologies could solve even those problems that momentarily seem too big if we know how to use them. Rees called new technologies a ‘win-win road to a carbon-free future’, through which humanity could make new scientific discoveries and nature would profit from a better atmosphere. 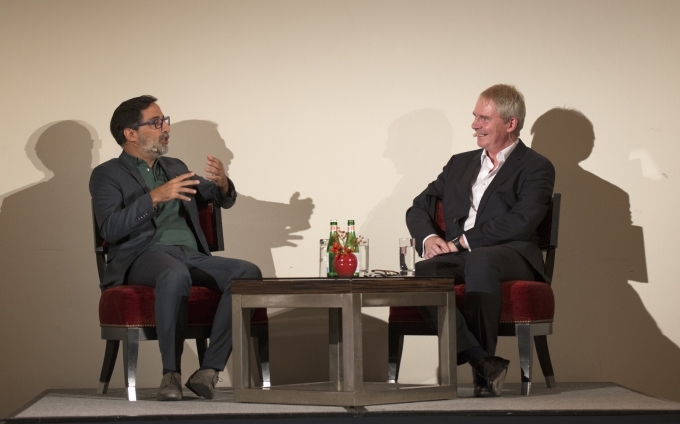 In the aftermath of the lecture, Lord Rees discussed with Dr. Dr. Alexander Görlach the digitisation of politics. 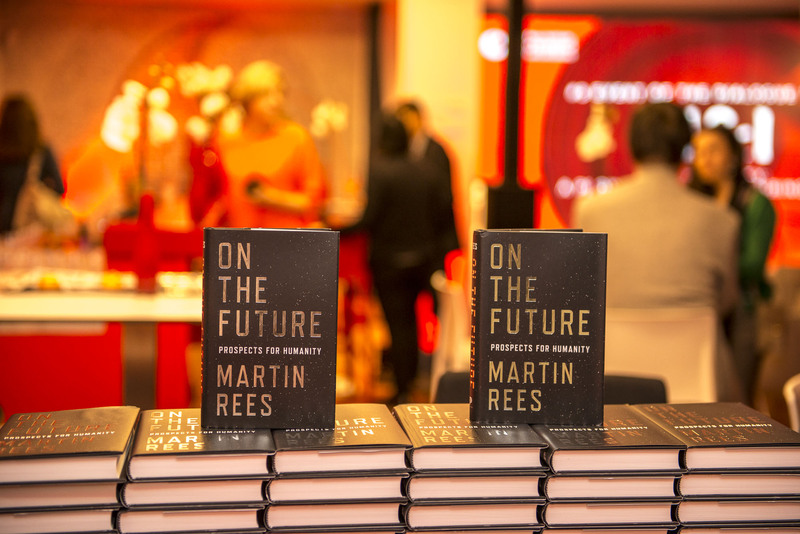 Rees predicted tension between privacy and freedom on the one hand and security on the other as new security technology would widen public surveillance. And he made another social observation: if machines replace humans as workers, society needs to redistribute wealth, so that people then unemployed can profit from the money earned by machines. Furthermore, he stressed that not all work sectors will be threatened by automation because especially handicraft requires manual processes and science has not yet come up with a robot that reliably and autonomously can imitate human movements. 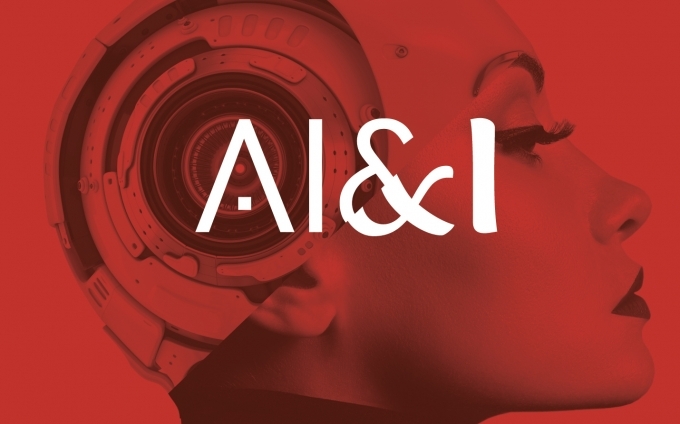 September 27th 2018: In the second event of the dialogue series, Sir Nigel Shadbolt and Alexander Görlach will talk about the interplay between human and technology.